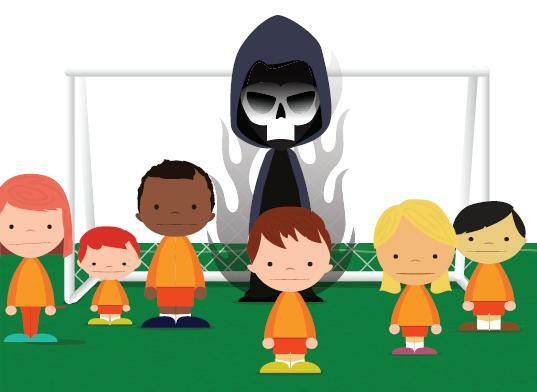 The Australian Competition and Consumer Commission is reminding parents, teachers and coaches about the deadly dangers of moveable soccer goalposts as children’s soccer season kicks off around the country. “Deaths and injuries associated with moveable soccer goals are caused by blunt force injuries and trauma to the head, neck, chest and limbs when the goalposts fall over,” ACCC Deputy Chair Delia Rickard said. “If you’re a parent, teacher, coach, referee or volunteer involved in kids’ soccer, there are simple steps you can take to help keep kids safe around moveable soccer goalposts – before, during and after games. “Identify the type of goalposts on the field – if they’re freestanding and not the lightweight plastic kind, you’re dealing with potentially dangerous goals that need to be anchored and checked properly before use and then stored away safely immediately afterwards. “Incidents can happen during normal game play or from inappropriate use of goalposts outside the game so ensure that nobody swings on the goalposts or plays on them at any time,” Ms Rickard said. The ACCC, in partnership with Football Federation Australia, released the ‘Anchor, Check, Respect’ YouTube video in 2012. The video features Melbourne Victory player Adrian Leijer. 10 bags of cement mix. Check the goalposts. Before every game or training session, test that the moveable soccer goals are properly secured and safe to use. Ensure there are no children around the goalpost. Shake the goalpost using both hands and push it from behind. If the goal post falls, don’t use it until it has been properly secured. Don’t use it if it’s not safe. Ensure that no one climbs, swings or plays on a moveable goalpost. Store the moveable goalposts safely when not in use.